The National Special Educational Needs and Disability Awards are proud to have the support of a number of national organisations. The judges between them have hundreds of years of inclusion experience and give their time voluntarily in order to recognise excellence. Richard is the Founder of The Root Of It. 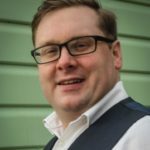 Having spent years working with children with severe behavioural difficulties, as the local authority cuts hit Richard left his local authority post in order to set up a school improvement and special needs service for schools. The Root Of It was founded in May 2013 in the South East and has expanded nationally to be able to provide professionals to schools. Winners of the Best New Business Award at the 2014 Entrepreneurs Convention and the Gold Award at the Scoot Headlines Awards 2015 the team is recognised as the national go to team for school support, providing schools with an alternative to local authorities across the UK. Taking an innovative approach to providing support for schools, The Mentoring School have developed national Mentor qualifications, including course for learning mentors in education and workplace mentors. 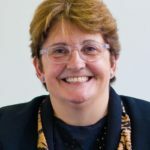 Kim Johnson was NAHT president and principal of Bradfields Specialist SEN Academy in Chatham, Kent, which provides day provision for 300 students with complex learning difficulties and disabilities. 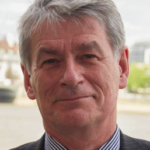 He has over 40 years’ experience of working with SEND pupils in mainstream, pupil referral unit and special schools settings. He is dedicated to guaranteeing the very best educational and life opportunities for children and young people with personal challenges and disabilities. Sonia Blandford has been a music teacher since 1980. Currently Founder and CEO of the award winning educational charity, Achievement for All which provides programmes to improve outcomes for underachieving children and young people aged 2 – 18 years in 4,000 early years, school and post 16 settings in England and Wales; and Professor of Education and Social Enterprise at UCL IOE. Previously, Sonia was Director of Research and Leadership at Teach First, Professor of Educational Leadership and Innovation at the University of Warwick, where she now holds an Honorary Professorship, Pro-Vice Chancellor and Dean of Education at Canterbury Christ Church University and Deputy Dean of the Westminster Institute of Education, Oxford Brookes University and Honorary Senior Research Fellow at University of Oxford. Prior to her charity and higher education positions Sonia held leadership and teaching positions in five secondary schools Wiltshire, Bath, London and Bristol. As an innovator in education Sonia led the creation and development of the Teach First initial teacher training programme and EdD programmes at Oxford Brookes University and Canterbury Christ Church University, each aiming to provide the highest quality professional development opportunities for teachers. Sonia was among the first cohort to be awarded an EdD in the UK at the University of Bristol (1995). She was a member of inaugural NPQH development and delivery team in the South West and has been a Quality Assurance Assessor monitoring quality and standards in higher education. In a voluntary capacity Sonia founded and supported five local and national charities that share her commitment to enabling every child to succeed regardless of background, challenge or need. Her first charity, The Corsham Windband Association has engaged children and young people from diverse backgrounds in music making for over 30 years. 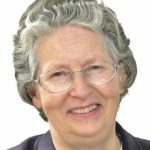 Sonia is author of over 150 articles and books written for teachers, leaders, parents and carers, and children and young people, most recently publishing with John Catt and Bloomsbury. Sonia is married with two daughters. Lara has been the South East rep for the National Network Parent Carer Forums since 2013. Nationally the NNPCF covers nine regions and has a membership of 63,000 parent carer’s throughout England. The Forums core role is to empower participation, with a pan disability and 0-25 years remit. In the South East there are 19 forums, whose views she has to scope to feed into the national picture of what is happening to families with children/young people who have additional needs and/or disabilities. Lara has two children, one of which has learning disabilities and limited communication, so she knows from direct experience the role of being a parent carer and what it feels like. mainstream and special schools. She is a former President of the National Association of Head Teachers (NAHT) and continues to be involved in their work, including being a member of the Association’s SEND Council. This gives her the opportunity to work with members involved in early years to post-16 education and across the continuum of SEND provision, including specialist support services and alternative provision. She is a founder member and chair of the National Forum for Neuroscience and Special Education (NFNSE) which is hosted by the Association. 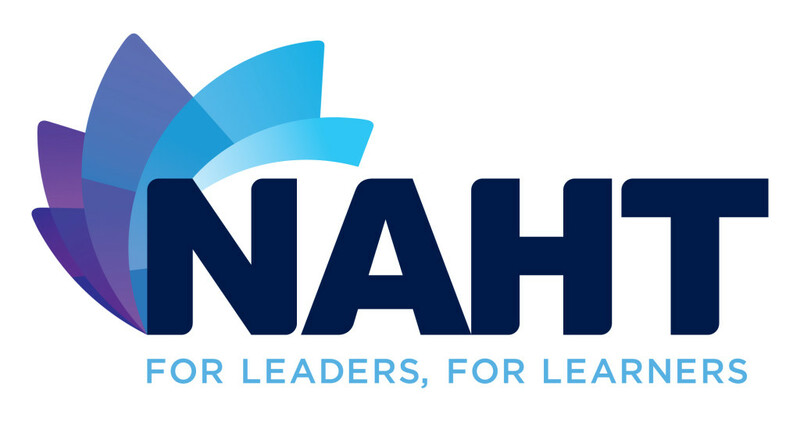 Rona represents the NAHT on the Special Education Consortium (SEC) and the National SEND Forum (NSENDF), both of which provide opportunities for working with parent organisations, and across education, health and social care. Rona has been a winner of the Leadership in Teaching Award, received an Outstanding Reviewer Award for her work on the International Journal of Educational Management and was awarded an OBE for her services to special needs education. Rona is vice chair of governors at two schools that take an innovative approach to children’s learning; an all-age school for profoundly deaf pupils and a secondary school for pupils with MLD, ASD and SLCN. Since moving on from headship, she has written and co-authored a number of books, including The SEND Code of Practice: 0-25 years – Policy, Provision & Practice (2015) and Rona Tutt’s Guide to SEND and Inclusion (2016). She was the writer for the DfE-funded project, Making it Personal – A Guide to Personalisation, Personal Budgets and EHC Plans, which is published KIDS, the charity supporting disabled children, young people and their families. Since moving on from headship, Rona has been much in demand as a speaker, writer, reviewer and judge. She is a Fellow of UCL’s Centre for Inclusive Education (CIE). 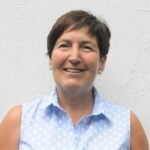 Yvonne is Head of Consultancy at Nurture UK and has been working with children who exhibit social, emotional and behavioural needs for nearly 30 years, within both primary and secondary special school settings. She was previously the coordinator for social emotional, mental health and wellbeing (SEMH) for the targeted Education Support services working with and supporting mainstream and special schools in Wigan Local Authority. Yvonne has been involved with developing and supporting nurture groups for many years, a passion that was inspired by Marion Bennathan’s keynote at a conference held 14 years ago. A few years ago Yvonne completed her MA focusing on the use of the six principles of nurture. In her spare time Yvonne is an avid fell walker and climber and spends a lot of her spare time in the Lake District. Penny Tassoni is a well-known education consultant, author and trainer who specialises in the whole spectrum of learning and play within early years. Penny has written over 40 books, many of which are best sellers in the sector. Her latest professional book is ‘Reducing Educational disadvantage; A strategic approach in the early years’. Penny is a sought after speaker both in the U.K and internationally where she has worked in Istanbul, China and Japan. In addition to training, Penny has worked as a consultant for awarding organisations as well as leading toy manufacturers. 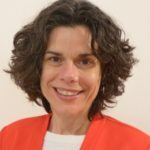 Susi is the Head of Learning Skills and SENDCo at Harrow School; alongside, she runs her own specialist practice for parents based in the UK and overseas who seek her guidance on a range of SEND related issues. Over the past 25 years, Susi has worked in a diverse range of educational settings, principally with an inclusion focus. Engaging parents and families as genuine partners in their children’s education, stemming from her doctoral work at the University of Cambridge, remains a particular passion. In addition, Susi is also very interested in the holistic well-being of children and families, and educational policy. Susi continues to be a frequent contributor in the media on educational and parenting matters. Her first book, ‘How To Create A Parent-Friendly School’ was published in 2008. Deirdre is UNISON’s National Officer for Disability Equality. UNISON is the UK’s largest trade union with over 1.3m members, including members who work in schools, further and higher education. Deirdre focuses on organising disabled staff and developing bargaining resources to encourage employers to implement workplace policies such as reasonable adjustments and disability leave. She also leads on UNISON’s disability equality campaigns in employment and broader society. UNISON is a campaigning union and has been part of the trade union and civil society campaign against cuts to SEND provision. In her spare time Deirdre is also a Labour Councillor and a local school governor.